se these examples of Trend Lines, Channels and Support & Resistance to jump-start your chart reading skills. You'll see that simple line studies are the building blocks of thorough chart analysis. This daily chart of CitiGroup, Inc shows a well established up-trend. 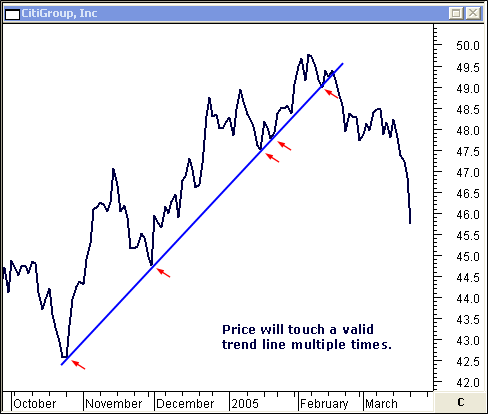 It only takes two points to form a trend line... but, the more times the line is touched , the better. 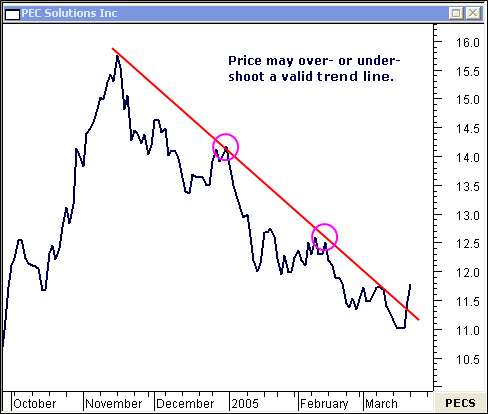 Price extends beyond and falls short of the down-trending line in this daily chart of PEC Solutions Inc. 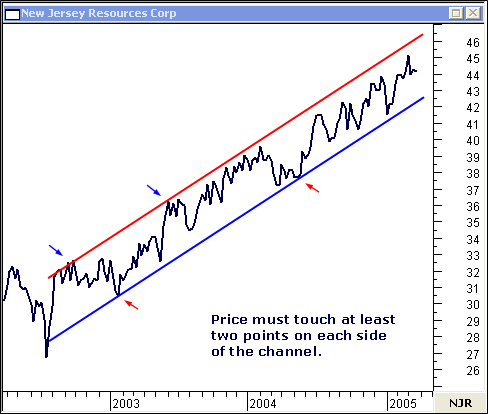 The up-trending channel has stayed intact for three years on this weekly chart of New Jersey Resources Corp. 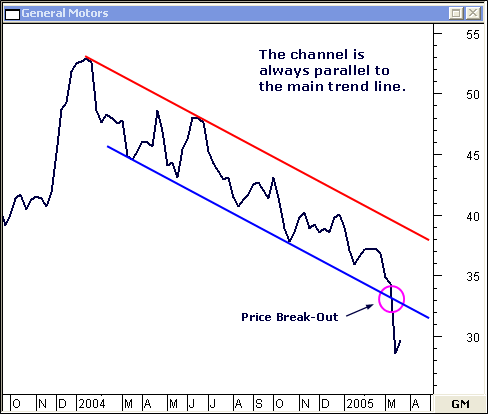 This weekly chart of General Motors shows price action which has broken-out of the down-trending channel... a sign of further weakness. 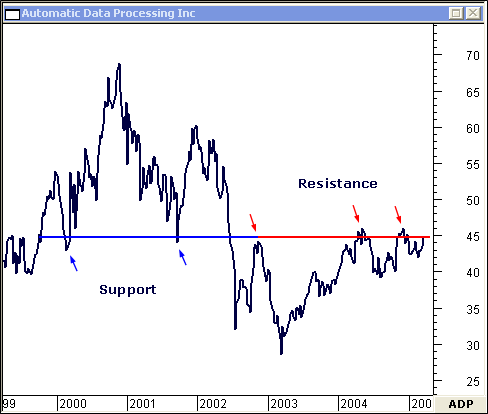 Automatic Data Processing Inc is pushing against resistance at $45 which used to be support in this weekly chart. 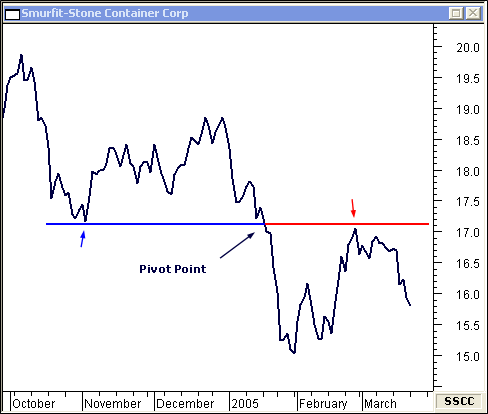 This daily chart of Smurfit-Stone Container Corp shows how the pivot point determines where support and resistance will develop.